Uh oh big fella, did you jump the gun on a smartphone this past holiday shopping season thinking that the Verizon iPhone 4 rumors would never come true? If you did, and assuming you were interested in the iPhone 4 to begin with, then you're probably left with a serious case of buyer's remorse. Bummer. Q: I just purchased a new smartphone during the holiday season, but if I new that the iPhone 4 was going to be available soon I would have waited. What are my options now? A: Current Verizon customers who purchased and activated new smartphones, feature phones, or certified pre-owned phones between 11/26/2010, and 01/10/2011, are eligible to receive up to a $200 Visa debit card when they purchase an iPhone 4 at full retail price by 02/28/2011 and return their existing phone. 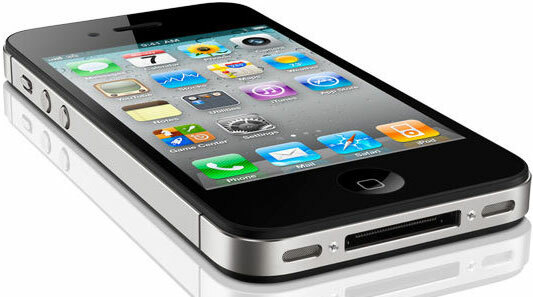 Note: This offer is only available on consumer accounts with five lines or less, who are purchasing iPhone 4 through Verizon Wireless retail stores, telesales, or through verizonwireless.com. Before you jump for joy and damage your ceiling fan, keep in mind that Verizon's full retail price for the iPhone 4 is $650 for the 16GB model and $750 for the 32GB variant, so you're looking at a $450-$550 upgrade. But hey, if you absolutely have to have one, a $200 Visa card is better than nothing, no? Van Damme Friday : JCVD Watches!!! !